this is too cute. I love the socks!! Oh my gosh that is so nice! That it how my little brother is and every holiday is so special. 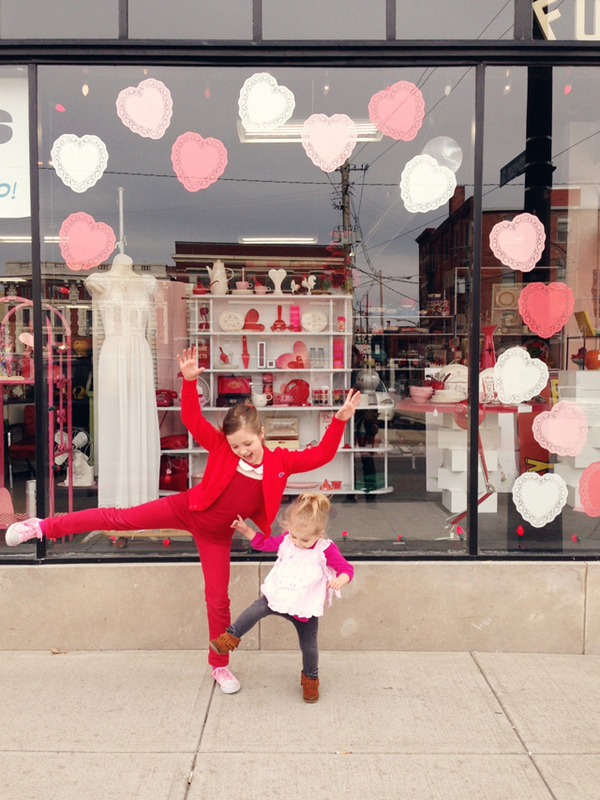 Your girls seem so sweet, especially with their hearts to give and make anything fun. I adore Hope's spirit and enthusiasm :). Reminds me of me--my husband always thinks I'm goofy for decorating for every little holiday, but deep down, I think he likes it ;). Sweet girls you've got there! What's your secret for raising them? Such an adorable post :) Thank you for sharing! Cutest! 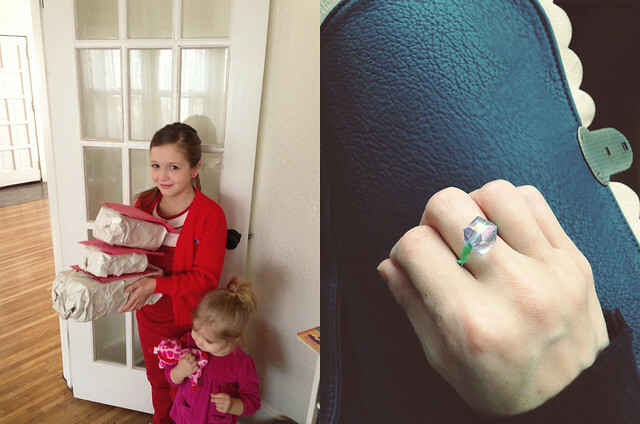 This post really made me smile :) Loving the ring Hope made you! Glad it says "eat grass" and not "smoke grass" for you. ;) Cute, quirky kids! How sweet! You got yourself some wonderful (and resourceful, going by the fireplace comment) girls. Awh that is seriously the sweetest! Is it weird that at 20 I still get my parents a valentine's day card? I just don't want them to ever forget how much I love them and appreciate everything! Aww, that is totally adorable! that is so wonderful. & i totally know what you mean. my little one is still only 8m, but my hubby made him draw a scribble in a card for my birthday and i swear it is THE best gift i have ever received... your girls are beautiful. I can't wait to see who Hope grows up to be. Someone takes after her mom! you have an amazingly beautiful life and family. That is awesome! These pictures are so cute! I love the one on top. What cuties! That card is adorable!! Happy belated Valentine's Day! Ha! 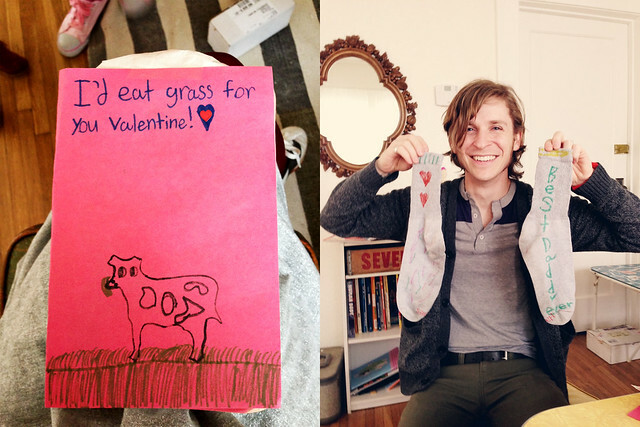 That is the best Valentine card I've seen :) How sweet that she gets so into giving over holidays- those socks are the cutest! This first picture is awesomely cute. Cutely awesome. Whichever. This picture of your girls in front of the window may be my all time favorite of them but Hope in the majorette costume is right up there too. Thanks for sharing. Blessings!! Let that light shine Hope! 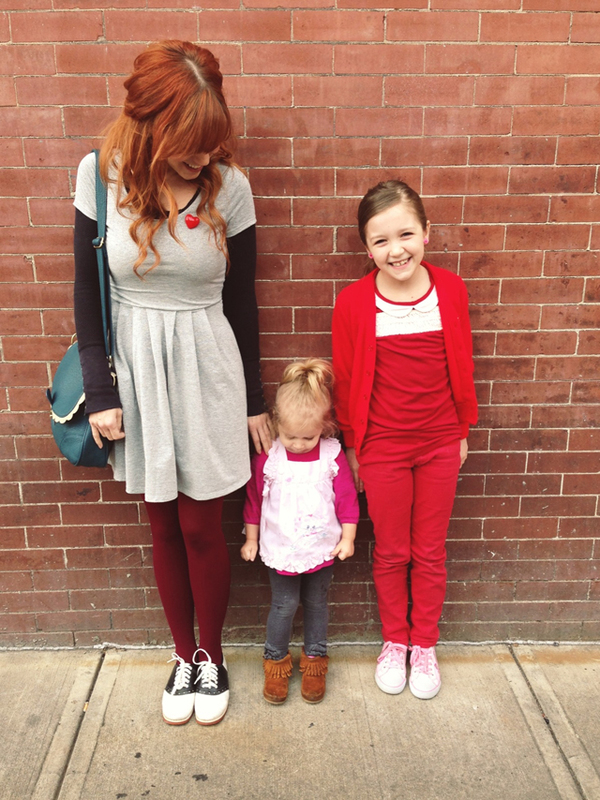 I just stumbled upon your blog and I thought to myself "I wonder if her girls are as sweet as they look." and then I read this post which confirms it. I also love that it appears you let them dress themselves. The only thing I love more than a kid-drawn card is a mismatched kid giving me the card. There's just something so adorable about it. I'm going to have to add you to my reader.